* Sold individually. 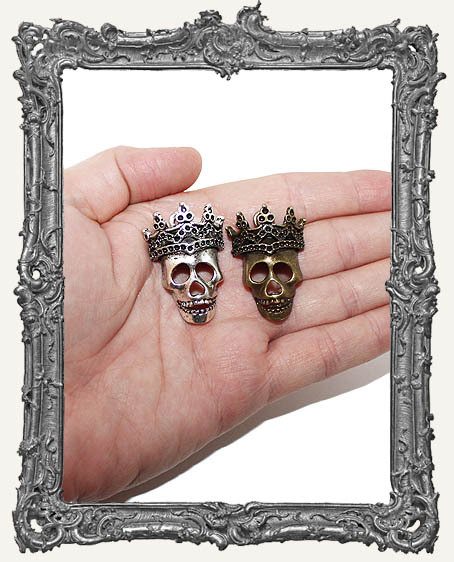 You will get one cool silver crowned skull charm. * There is a loop for hanging. Our 7mm jump rings work great. * You can also glue them in a Shrine or assemblage. * Measures approximately 1-1/4" x 1".